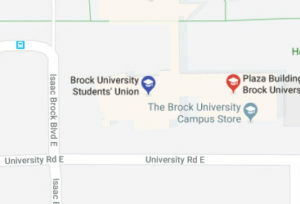 The Brock University Students' Administrative Council (BUSAC) is a branch of the elected student government within BUSU. BUSAC is an electoral body that governs over decisions such as by-laws, club funding, capital requests, political policies, elections and has many committees that do great work across a number of spectrum's that BUSU oversees. For more information on getting involved with BUSAC, or to be added to the agenda, please email Director of Government Operations, Ron Bauman at [email protected]. Next BUSAC Meeting – May 11 at 10 a.m.
Have a faculty-specific question or concern? Click here to email your faculty rep! Standing orders are motions passed by BUSAC that remain in effect after the adjournment of the meeting in which they are made. Standing orders are given a place among the legislation of BUSU as they have a role in governing the business of the organization and the running of BUSAC. Standing Orders of BUSAC automatically terminate at the end of the term of BUSAC that made them or when the duties and/or actions mandated by a standing order have been completed by the appropriate body in full and it remaining as a standing order would serve no purpose. Recording and maintaining a record of the Standing Orders of BUSAC shall be the responsibility of the Speaker of BUSAC, with the assistance of the Deputy Speaker. It shall be the joint responsibility of the Executive Committee to ensure that Standing Orders of BUSAC are followed and/or carried out as mandated. The Student-at-Large position (SAL) is a opportunity for student to get involved in the decision making processes of BUSU. Student-at-Large members have voting rights on all BUSU committees and help set the direction of BUSU’s Governance. If you are interested please fill out the application below and get involved today! For more information about the responsibilities of these committees, please click here!